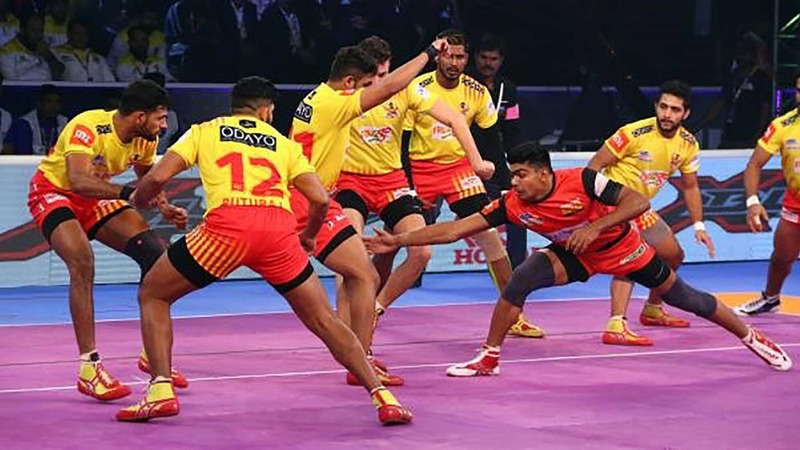 A culmination of almost three months of intense kabaddi action will see Bengaluru Bulls play Gujarat Fortunegiants in the VIVO Pro Kabaddi Season 6 final at the DOME@NSCI SVP Stadium in Mumbai on Saturday. 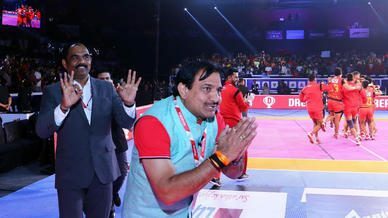 Bengaluru Bulls will come into the contest on the back of a confident 41-29 victory against Gujarat Fortunegiants in Qualifier 1 which saw them become the first team to seal a berth in the final. Gujarat Fortunegiants, on the other hand, had to fight their way through a determined U.P. Yoddha unit in Qualifier 2 to make a place in the final and earn a rematch against Bengaluru Bulls. 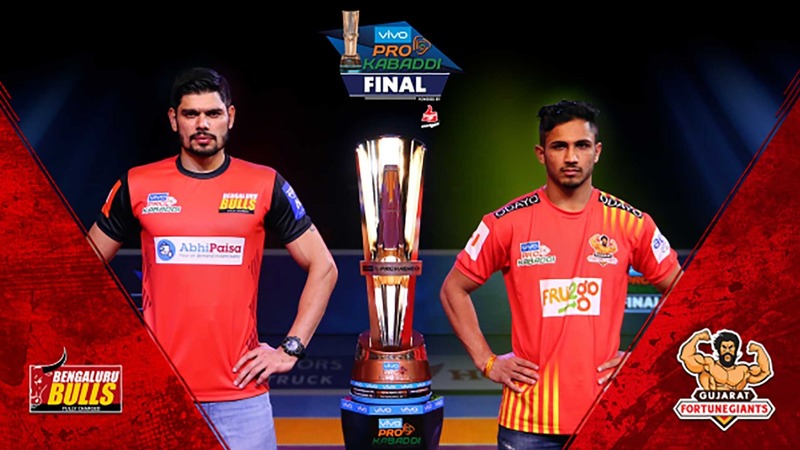 With everything on the line and 40 minutes on the clock, the fans are assured of some mouth-watering kabaddi. Head-to-head: Bengaluru Bulls 1 – 1 Gujarat Fortunegiants. 1 Tie. Zone toppers Bengaluru Bulls and Gujarat Fortunegiants will take each other on for one final time in Season 6 in what could prove to be a battle between the season’s best raiding unit and the best Cover duo of the campaign. While Bengaluru Bulls walked away with a victory in Qualifier 1, Gujarat Fortunegiants will be buoyed by the fact that they have never lost back-to-back matches to any team in all of Season 6. In fact, Bengaluru Bulls have been the only team to defeat them in their past 8 matches. While Sunil Kumar has contributed 3 High 5s to winning causes, Parvesh Bhainswal has managed 4. 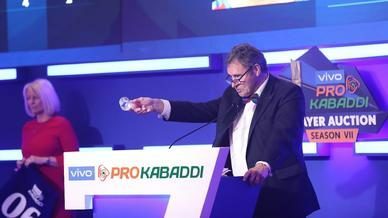 The only time the team lost a match after either scored a High 5 was against Dabang Delhi K.C. in Match 73. 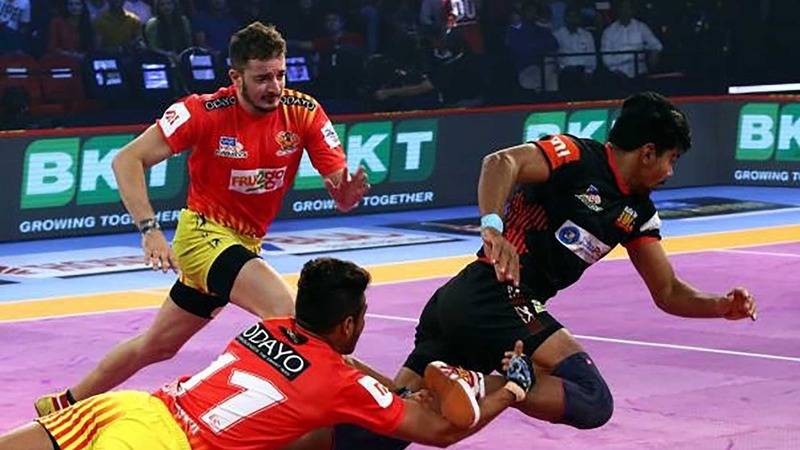 For Bengaluru Bulls, Pawan Kumar Sehrawat could be the key as they have lost just one match in the entire campaign where the raider has scored a Super 10, managing to win 11 of them. Sehrawat averages 12.71 raid points in Bengaluru Bulls’ victories and only 7.85 in their defeats. This makes it vital for Sehrawat to strike for one final time in this season for Bengaluru Bulls. 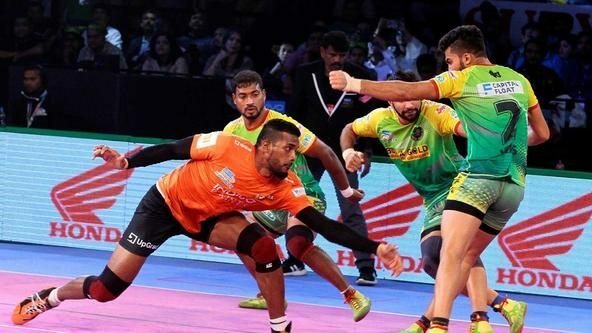 It is also important to note that Bengaluru Bulls have never lost a match this season when Mahender Singh has scored a High 5, their worst result in such a situation has been a 40-40 tie to Patna Pirates in which Singh returned 6 tackle points. Season 6’s leading raider Pawan Kumar Sehrawat will be seen in action one final time this season when his team take on Gujarat Fortunegiants. The raider has contributed little less than half of the team’s raid points this season with his best performance coming in their opening match itself against Tamil Thalaivas where he scored 20 raid points in just 15 attempts. 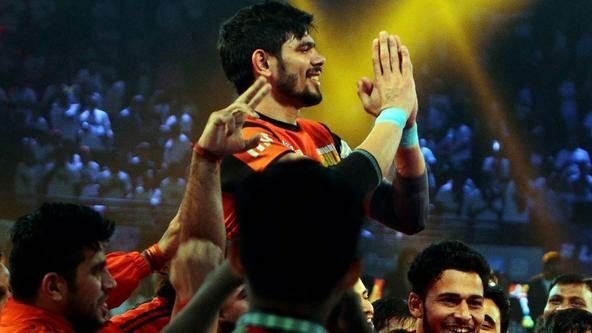 He shone once again when his team needed him the most in Qualifier 1, taking apart the Gujarat Fortunegiants defence with a 13-point performance. He has been ably supported in raiding by Rohit Kumar, who has fast made a name for himself this season as an inspired captain who is willing to put his hand up and do the job for the team in every capacity. He has often been the last man standing and kept his team in the hunt and he even managed a game-changing High 5 in Qualifier 1. Kashiling Adake forms the third prong of this attack and he has shown multiple times that he is capable of putting in the big raid when the two main raiders are on the bench. Harish Naik, too, could be the joker-in-the-pack when it comes to facing a rock solid Gujarat Fortunegiants defence. The raiding responsibilities in Gujarat Fortunegiants have been quite evenly divided with Sachin leading the way and K Prapanjan making the secondary raider’s place his own in recent matches. The two have combined to score more than 64% of the team’s raid points while making sure that the raid point counter is kept ticking for their team. Sachin, in particular, has been in top form, scoring 19 raid points in his team’s previous two encounters including a Super 10 against Bengaluru Bulls. 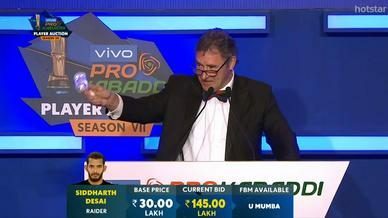 Rohit Gulia’s ability to pinch the bonus points at vital junctures have seen him become the team’s third-highest scoring raider, while Dong Geon Lee, too, has come good with a Super 10 to his name in this campaign. Bengaluru Bulls have been shifting their defence around in Season 6 before settling on Amit Sheoran in the Corner position. Having played just 14 matches in the campaign so far, the defender averages 2.64 tackle points per match; almost on par with the average of the team’s most successful defender Mahender Singh. Singh has been exceptional in the Covers and claimed another High 5 in Qualifier 1 against Gujarat Fortunegiants. The team didn’t start with their usual Cover Ashish Sangwan but the defender has still been Bengaluru Bulls’ second most successful defender and could play a vital role in the final. Rohit Kumar’s High 5 in the first Qualifier also augurs well for Bengaluru Bulls as it gives them additional options in defence. Gujarat Fortunegiants have the season’s most successful defensive duo in Covers Parvesh Bhainswal and Sunil Kumar to combat the threat posed by Bengaluru Bulls’ raiders. The two have combined to score 156 tackle points this season, contributing more than 58% of their team’s total tackle points. While they didn’t have a very good outing against Bengaluru Bulls in Qualifier 1, they struck back with a combined 5 tackle points against U.P. Yoddha. Corner Ruturaj Koravi has been in exceptional form as well in his debut campaign, becoming the team’s third-most successful defender this season. However, one player who could well change the course of the game is Iranian Hadi Oshtorak. He has scored three tackle points each in both the Qualifiers at a strike rate of 67% to lead the team’s defence in that period.